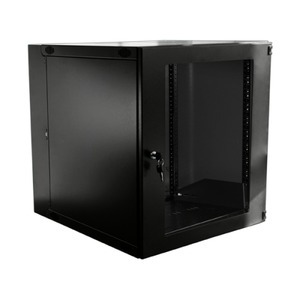 Camera Mounts & Housings - PV-RackMT-12U - Only $349.95! When installing your new Security System from PolarisUSA Video, it is smart to include a Rack Mount Cabinet for storing all of the key components: Recorder, Power, Uninterruptible Power Supply (UPS). We recommend the Vericom Double Hinged Wall Mount Cabinet.